This is the second time Tom Hudson has represented us in a car wreck case and I hope there's never a third, obviously, but Tom's office would be the next call we make after we get off the phone with 911. Those highly-advertised big law firms just put their clients on an assembly line, settle the case and move on to the next. Tom personally handled our case, walked us through the process and has held our hands through every step along the way. Tom and his staff have been great to us through their consistent communication, and being thorough in their work. 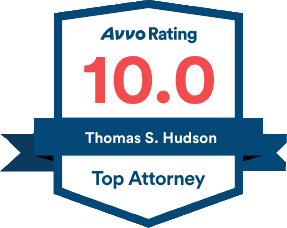 Nobody wants to be in a car wreck but if you are, then you do want the right attorney on your side and that 's Tom Hudson.